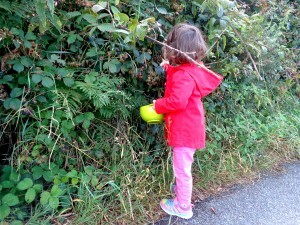 I have fantastic childhood memories of picking blackberries with my family. All eight of us would pack into the car armed with the largest buckets we could find and we would set off for the countryside. Of course we probably ate more than we picked but that was all part of the fun! Now as I live in the heart of the countryside with my husband and daughter, it’s funny to me that we just have to step outside our door to find some beautiful fresh berries. We took advantage of the warm evening yesterday to go out picking together because in Ireland the next rain shower is never far away! 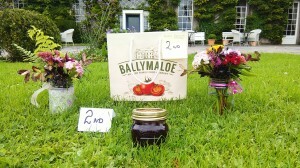 Today this blackberry jam won second prize in the Ballymaloe House jam competition. I was worried about how my refined sugar free and pectin free jam would be received, although I was very happy with the recipe myself. 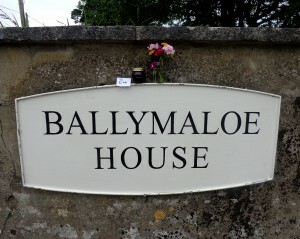 An award from somewhere as prestigious as Ballymaloe certainly gives me confidence that my recipes can cater to the masses and not just the health-conscious or those on special diets. I should mention that it was a blind taste test, so it was purely judged on taste. It’s the perfect season to make some of your own jam and freeze it for the winter. 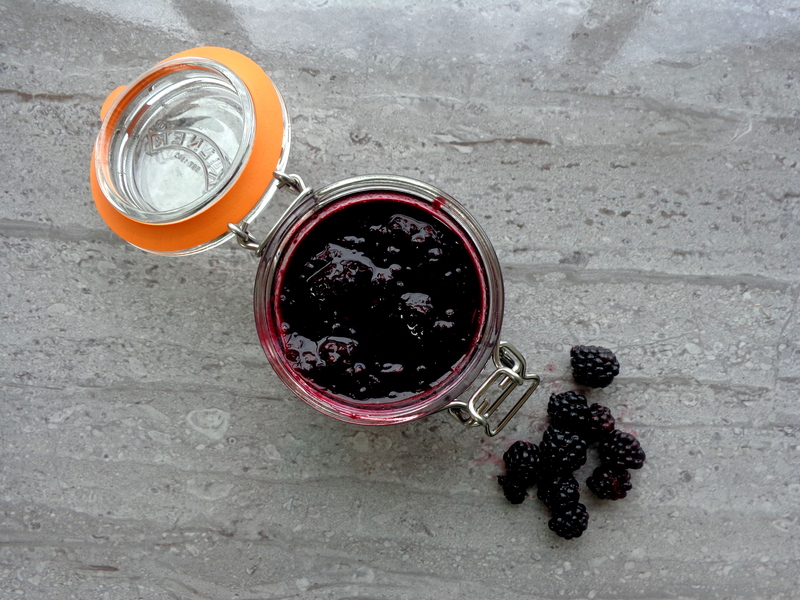 As this jam is free of refined sugar and pectin, it won’t last as long as ordinary jam in the fridge. It will keep perfect in the fridge for about two weeks but for any longer than that, it should be frozen. Make sure to freeze it in freezer-safe jars to avoid them breaking. 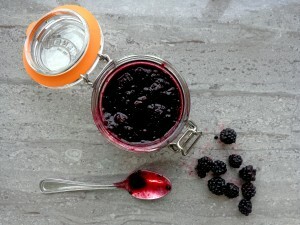 This recipe makes enough for 3 jars of jam and is easily doubled. 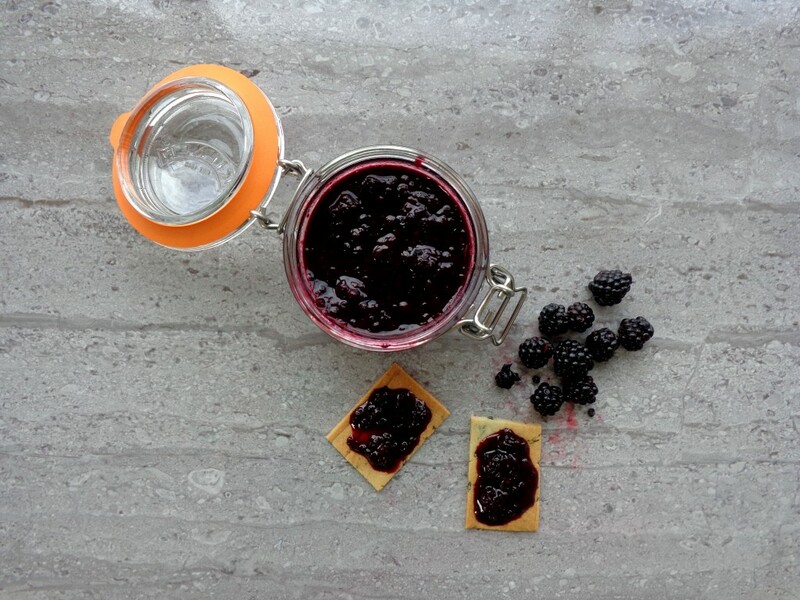 A delicious homemade blackberry jam that's packed full of flavour. 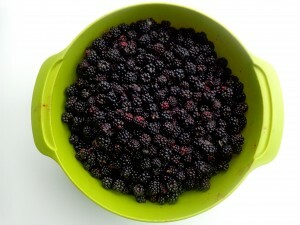 Mash the blackberries in a large saucepan with a potato masher to break them up. It's ok to have the mixture still a bit lumpy. Add all the other ingredients into the saucepan and place on a medium heat. You want to just bring the mixture to the boil but then turn down the heat immediately as low as it will go. Continue to simmer for 40 minutes stirring very often, until the mixture begins to thicken. Allow to cool before placing into cooled sterilised jars. Keep in the fridge for two weeks or in the freezer in a freezer-safe container for longer.